At Sofia Kaman Fine Jewels, we are lovers of all things that evoke a sense of history. 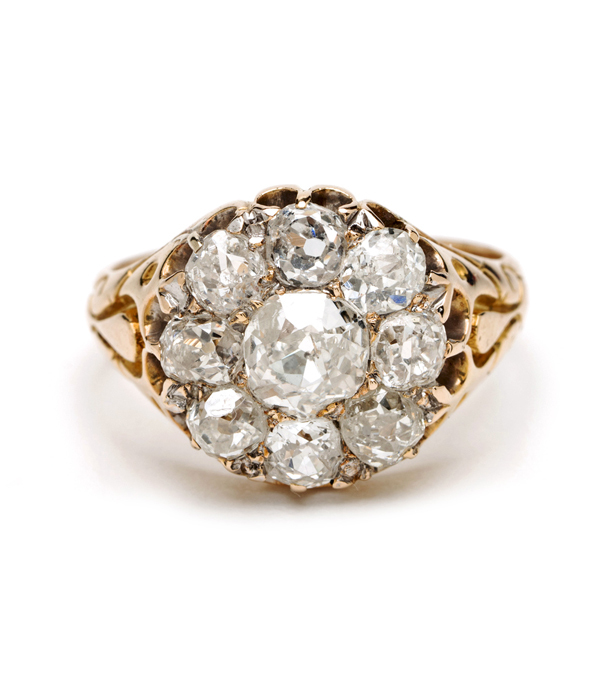 An old mine cut diamond is exactly the type of precious jewel for those seeking an antique diamond that is as sustainable as it is unique and beautiful. 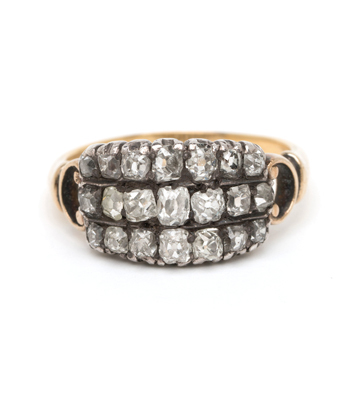 These one-of-a-kind diamonds are from a time when precious gems were measured by eye and cut by hand, giving them a very distinct type of sparkle. 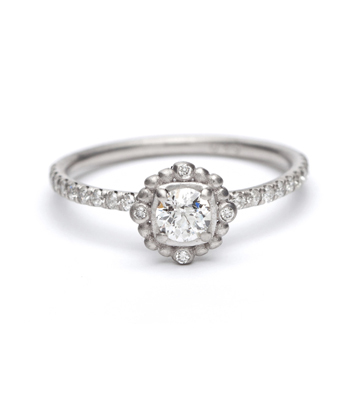 If you are seeking an antique diamond cut for your bespoke engagement ring, and old mine cut diamond is that very stone. In a world full of modern cookie cutter diamonds, the old mine cut diamond is a uniquely cut and crafted work of art: truly a diamond worthy of being the ultimate token of commitment. 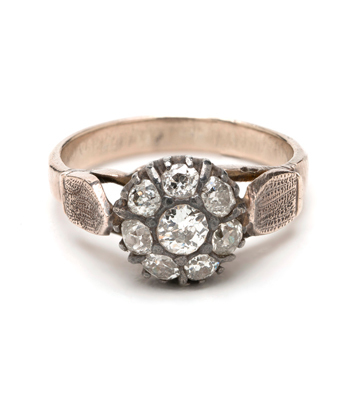 From the early 18th century to the late 19th century, the old mine cut was perhaps the most common diamond cut and the cut most often found in the Georgian (1714-1837) and Victorian era (1837-1901) jewelry. Easily recognized by its squarish shape: The old mine cut diamond has 58 facets like today’s modern round brilliant cut diamond, but that’s where the similarity ends. 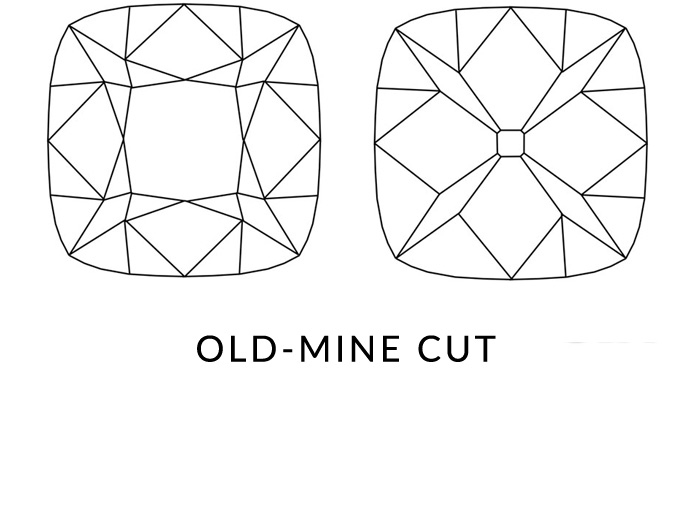 In addition to its unique shape, an old mine cut has sumptuous diamond proportions: it typically has a petite table, larger culet (the point at the bottom of the stone) and higher crown. It also has squat facets on the lower half and a girdle that delicately seems disappear in places, as a result of these characteristics, an old mine cut diamond has a very distinctive look.